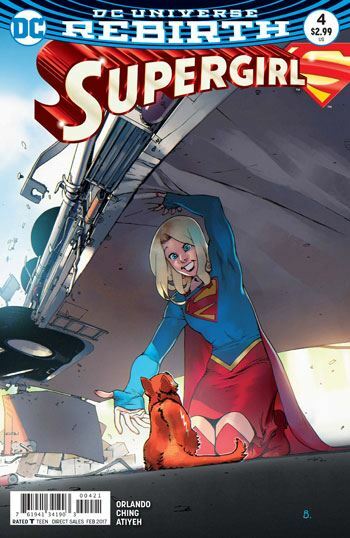 I couldn’t help but think of the differences in the Rebirth Supergirl and the New 52 Supergirl while reading this latest issue. It’s meant to be the same incarnation of the character, and yet the New 52 Kara was always angry, never listened to anyone, and tried to solve every problem by punching it. This may be the same Supergirl, but she sure doesn’t act the same. 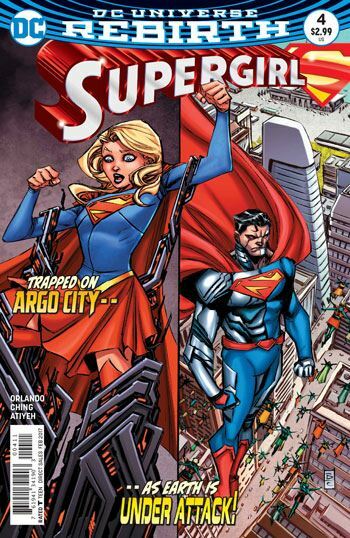 Picking up from the previous issue, the Cyborg Superman brings the re-animated, and cyberized, residents of Argo City to Earth, while leaving his daughter caged in Argo City. We follow the situation on Earth in cutaways throughout the story. Cameron Chase really gets to show her stuff, and Cat Grant gets some decent moments as well. But it’s the situation on Argo that really drives the tale, and is the more captivating. Supergirl spends almost all of it stuck in her shifting cyber-cage, trying to talk to the cyberized version of her mother. The conversations between them are really well written, as Kara tries to reach whatever might be left of her mother in the nightmarish construct she has become. This is a Supergirl who demonstrates patience, resolve, caring, compassion, and cleverness. Sure she uses strength at one point, but her triumph in this issue comes from what she says, more than how she acts. That probably sounds really dull. It isn’t. Steve Orlando’s dialogue is crisp and effective, and Brian Ching keeps the visuals fascinating. It’s amazing how much emotion can play on a cyborg’s face.